Taronga Zoo activities for teenswhere to next? 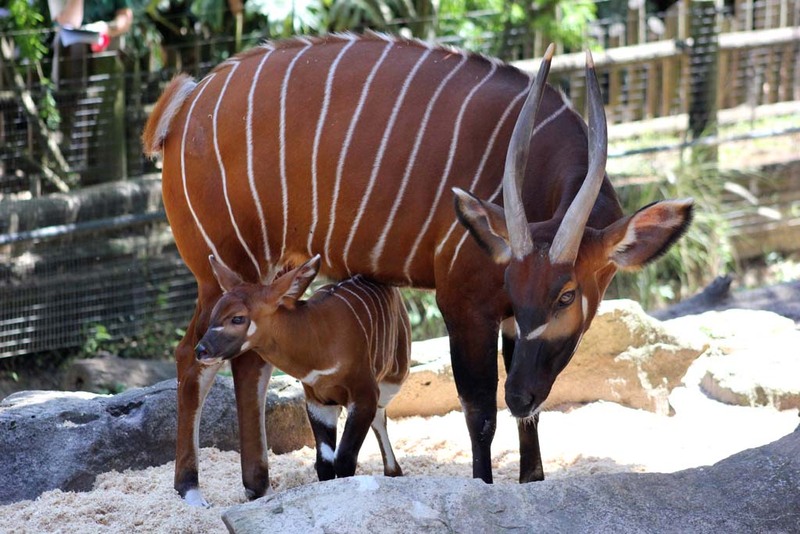 There are plenty of new baby faces to see at Taronga Zoo these Easter holidays, including the Zoo’s first ever Bilby joeys, a cheeky Squirrel Monkey baby and an Eastern Bongo Calf. Enough even to tempt cynical teenagers. 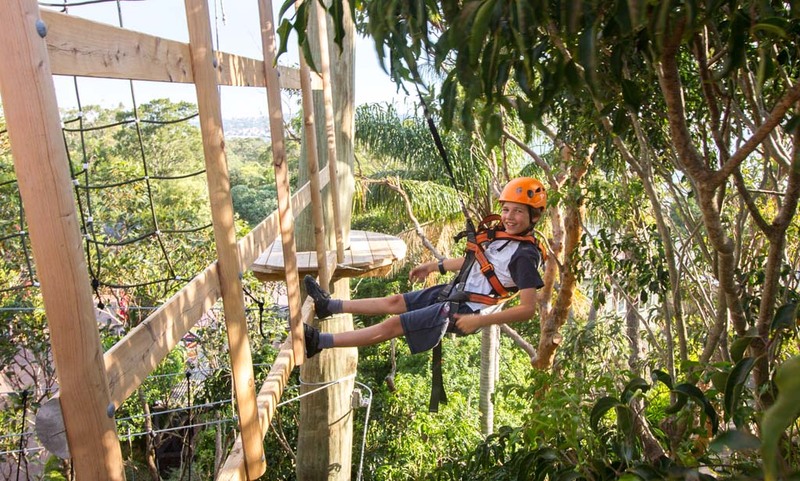 Especially with the introduction of Taronga’s new Wild Ropes Course. Taronga announced the birth of two Bilby joeys in December. The female joeys, named ‘Tanami’ and ‘Tirari’, continue to grow in confidence and can often be spotted exploring and burrowing in their exhibit alongside mother, Yajala. Taronga Bilby Keeper, Paul Davies said Easter was a great time to learn more about these shy nocturnal marsupials and focus attention on native wildlife instead of their introduced competitor, the rabbit. 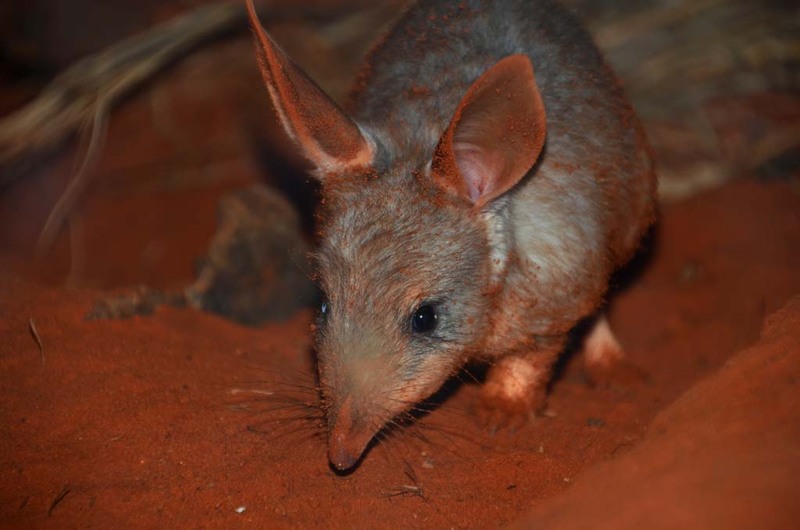 “Although Bilbies share some physical characteristics with rabbits, they have suffered a catastrophic decline over the past 200 years due to introduced predators such as feral foxes and cats, competition with rabbits and habitat degradation,” said Paul. Visitors can also check up on Taronga’s young chimpanzees, Fumo, Sudi and Liwali, and Gorilla baby, Mjuuku, as well as the cheeky Squirrel Monkey group’s tiny new addition. 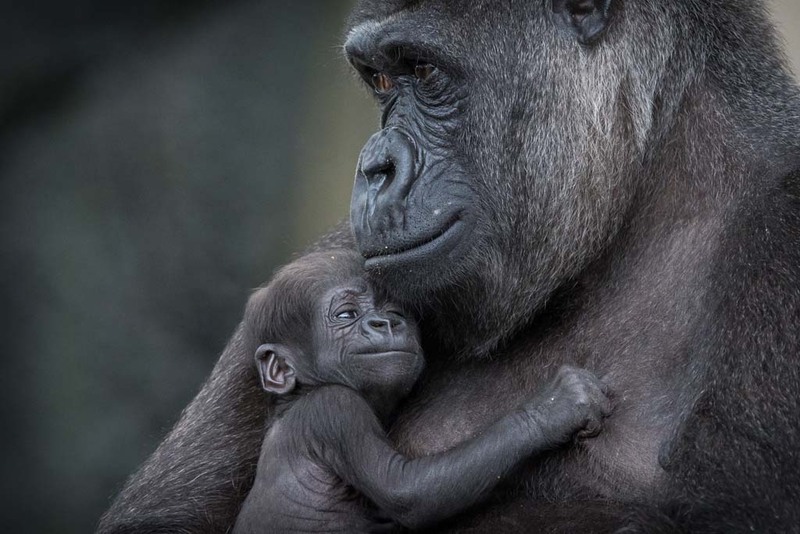 If you look carefully you may also spot the male baby named ‘Julio’ holding onto mum, Lena, like a tiny furry backpack as she leaps around the trees of Amazonia. Now for the Wild stuff. 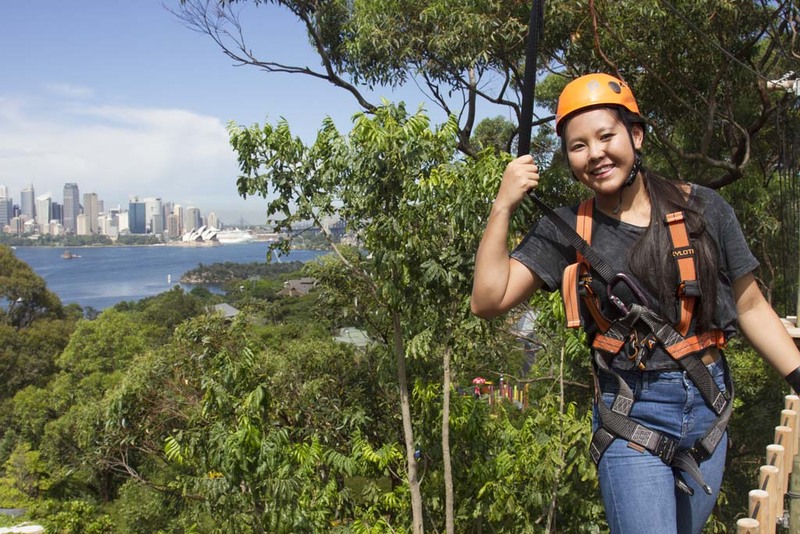 Kids of all sizes (including me of course) can now experience Taronga’s wildlife and harbour views from an entirely new perspective, with their new treetop high ropes adventure, Wild Ropes. 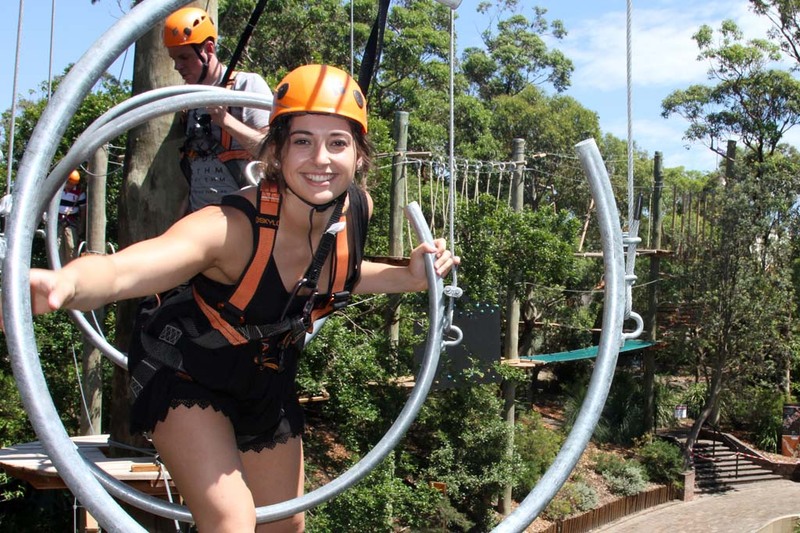 Navigate a series of 60 exciting challenges over four courses, including suspension bridges, rope climbs and zip-lines, while enjoying a bird’s eye view of the resident animals. At heights of up to 10 metres above ground level, climbers can take in the sights like never before, and you get to capture your adrenalin-filled adventure with an on course action photo. And from personal experience, there’s nothing better than real-life adrenaline experiences to entice teens away from screens. Wild Ropes is collaboration between Taronga Zoo and Ecoline. Specialising in tree-based eco adventures, Ecoline has multi-site experience designing, building and operating ropes courses in ecologically sensitive environments.